Nairobi is one of Cool Earth’s longest standing supporters, safeguarding the most at-risk rainforest in Peru. Nairobi is one of Cool Earth’s most committed and valued supporters. Sourcing many of their products from South America for their Resource® coffee brand, they give 10% of the profits from every sale to protecting rainforest and supporting communities in Peru. "Thanks to our Resource® brand which includes natural bottled water and ethically sourced coffee, we are able to make a big contribution to Cool Earth. By partnering with Cool Earth, we are able to show our customers just how much impact they are making. We feel that it is our social responsibility to help make a difference, and would encourage other companies to get behind Cool Earth and help provide education and support to communities that need it the most." Nairobi Coffee & Tea Company are partnering with 16 Asháninka villages to save over 900 acres of rainforest in Peru. The Asháninka are Peru’s largest indigenous nation and until now have lived deep in the heart of the amazon rainforest. Today, the deforestation frontline has arrived on their doorstep. Our Asháninka Project is in the Ene Valley, one of the world’s most at-risk areas. 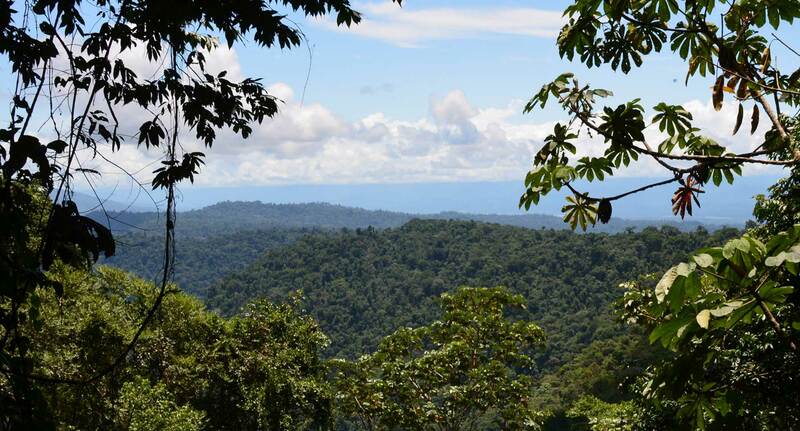 Illegal logging and the cocaine trade are destroying the forest. With the support of Nairobi Coffee & Tea Company, Cool Earth is linking villages together to shield millions of acres of neighbouring forest.